Nicki Minaj says she's dating fellow rapper Eminem. The 35-year-old star appeared to confirm a relationship with the 45-year-old recording artist Friday following the release of her song "Big Bank." Minaj posted a video Thursday of herself lip syncing to "Big Bank," which references Eminem by his nickname Slim Shady. She responded "yes" when a follower asked, "You dating Eminem???" in the comments. "Uh oh / Back again /Back to back Maybach, stack the Ms," Minaj raps in the song. "Told 'em I met Slim Shady, bag the M / Once he go black, he'll be back again." Minaj collaborated with Eminem on her 2010 single "Roman's Revenge." She reportedly split from rapper Nas in December after eight months of dating. "Nicki and Nas fizzled out," a source told Us Weekly in January. "They were never in the same place at the same time, so it was hard to move their relationship forward." "They still remain friends," the insider added. 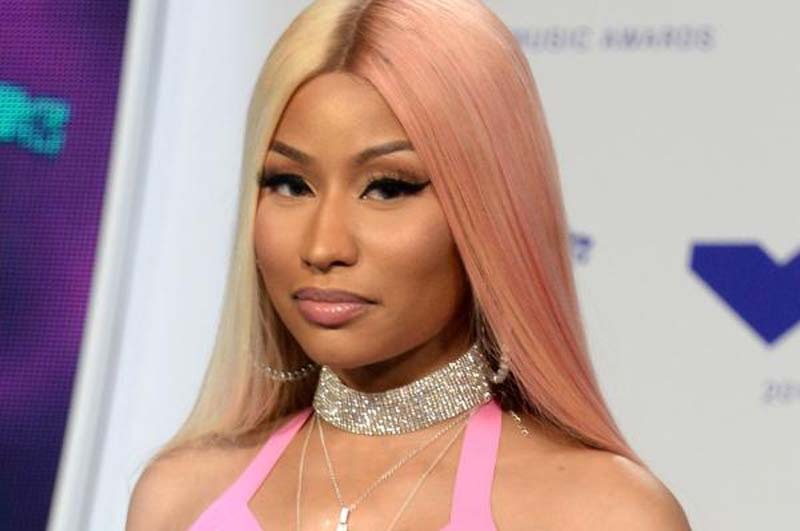 Minaj announced Thursday she is delaying the release of her new album, Queen, from June 15 to Aug. 10. The album will include her new singles "Barbie Tingz" and "Chun-Li."